When movie action hero Micah Deifenschlictor is accused of murdering his longtime agent, private investigators Maureen O’Brien and Blake Ervansky are offered a small fortune by Micah’s attorney to prove her client’s innocence. Blake and Maureen uncover evidence that eliminates Micah as a suspect in less than a day, earning the huge paycheck for very little work. When the case boomerangs back to them, however, the detectives realize they may have been duped into participating in a cover-up. 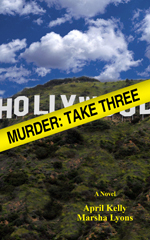 After secretly reopening their investigation, Ervansky and O’Brien are drawn into something much larger and darker than mere homicide, something that will bring unimaginable grief to Blake’s life, not only changing him as a man, but irrevocably altering his relationship with Maureen.